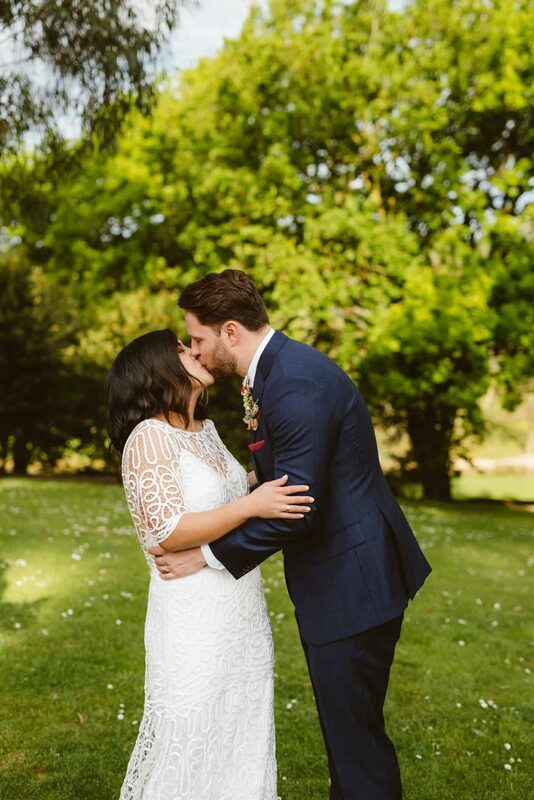 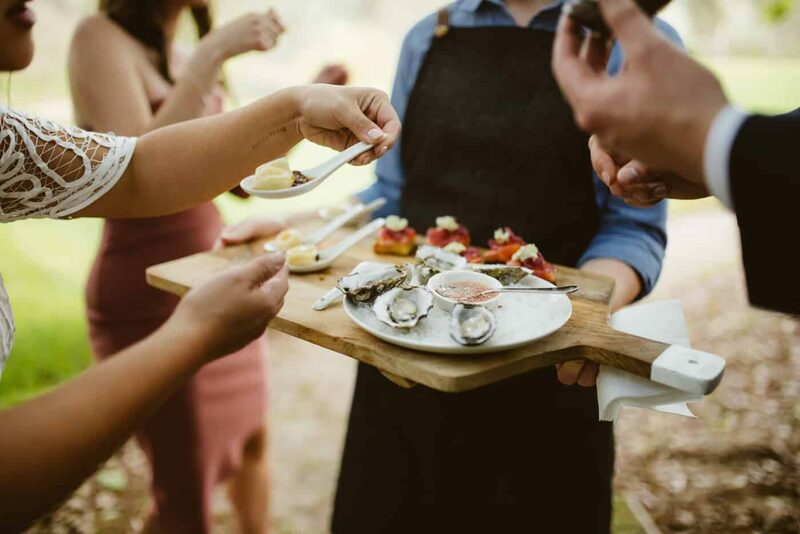 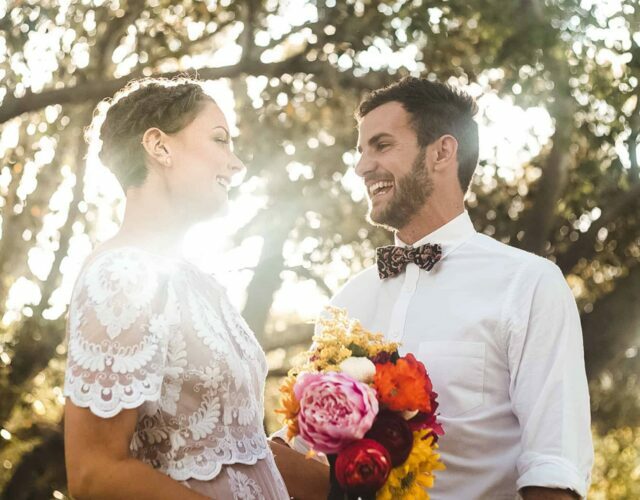 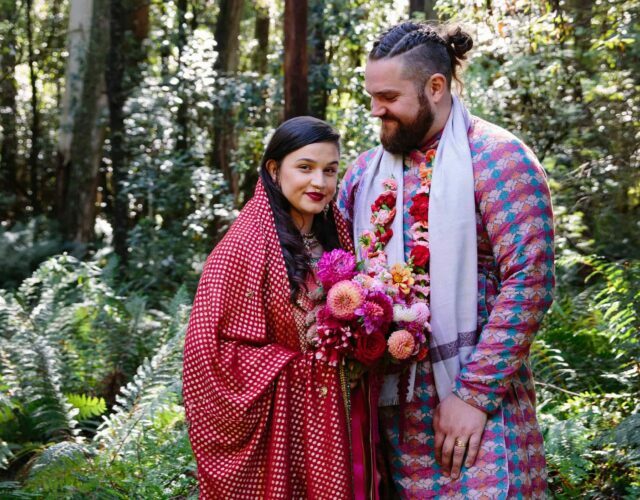 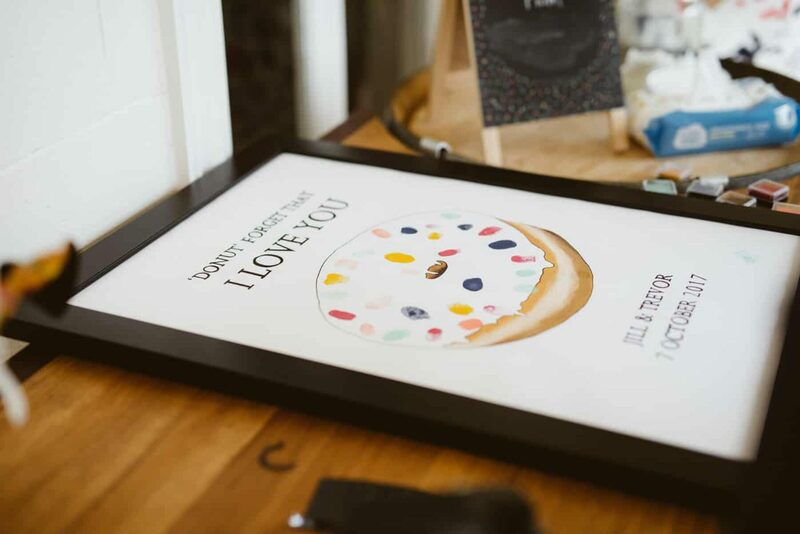 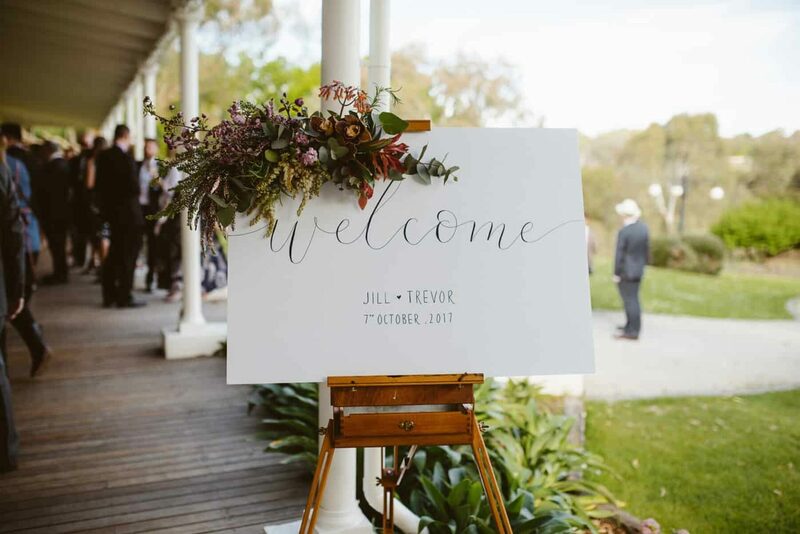 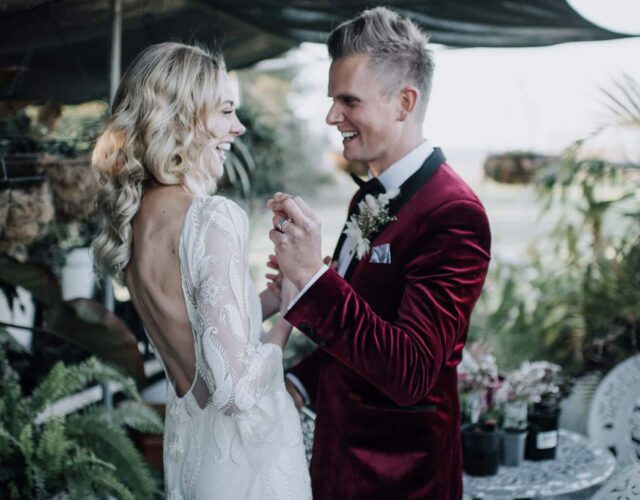 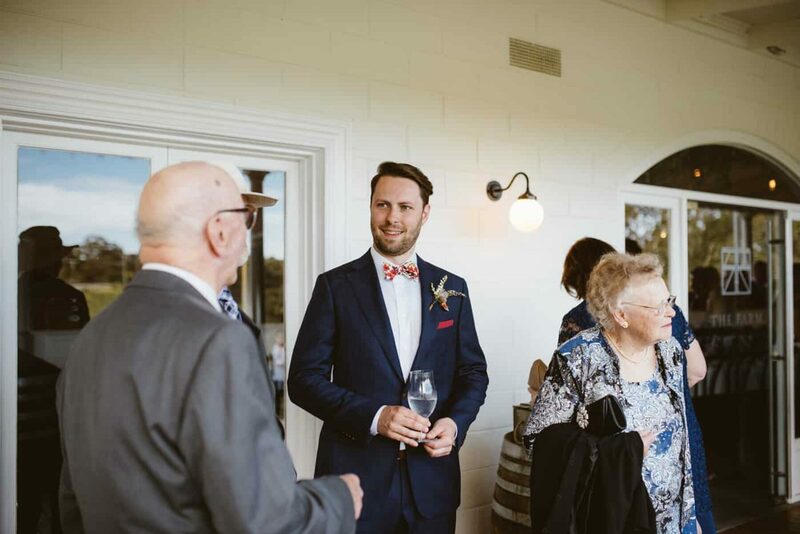 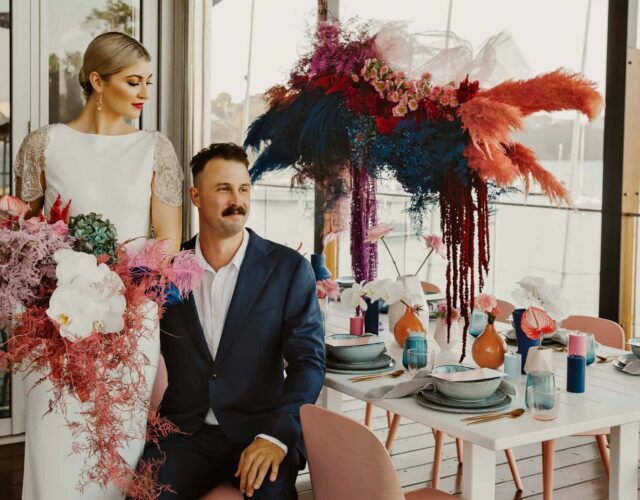 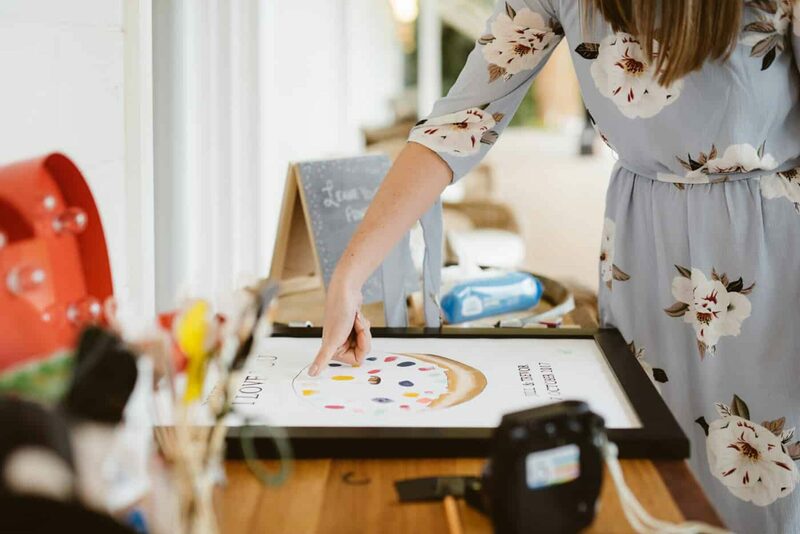 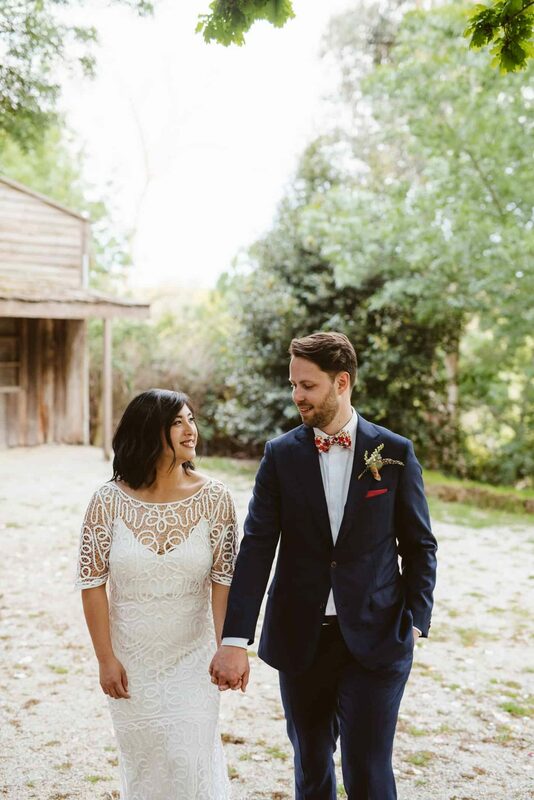 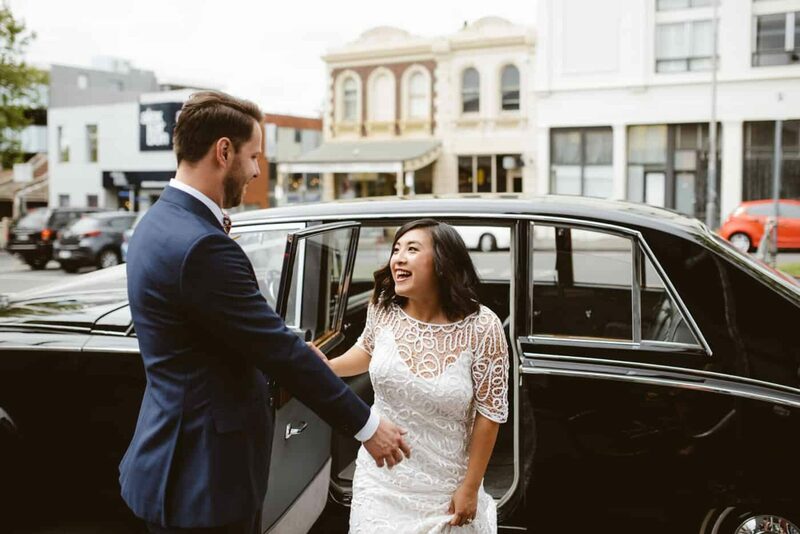 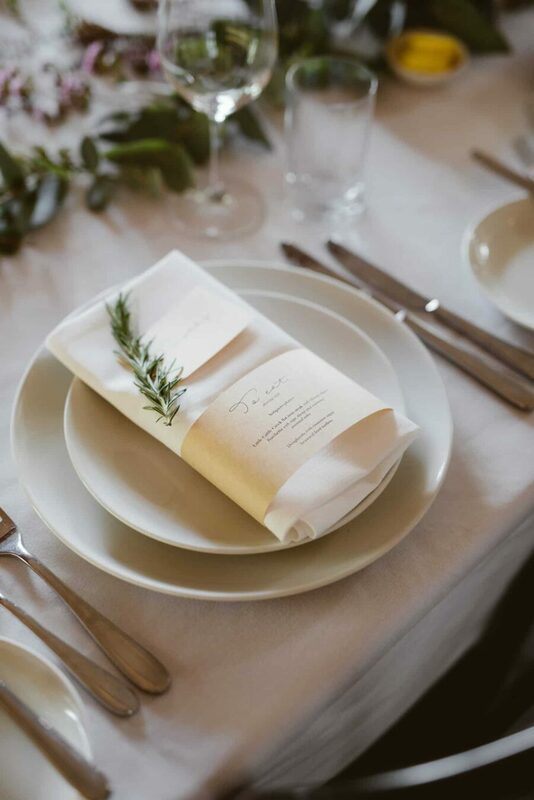 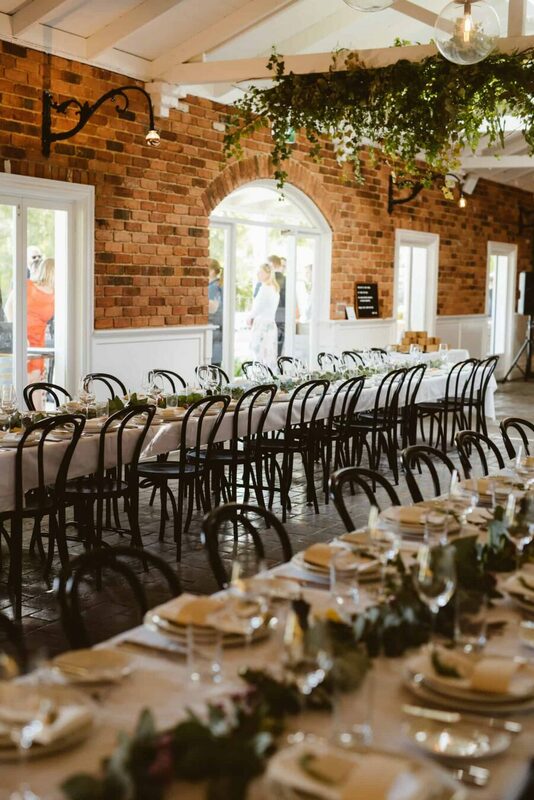 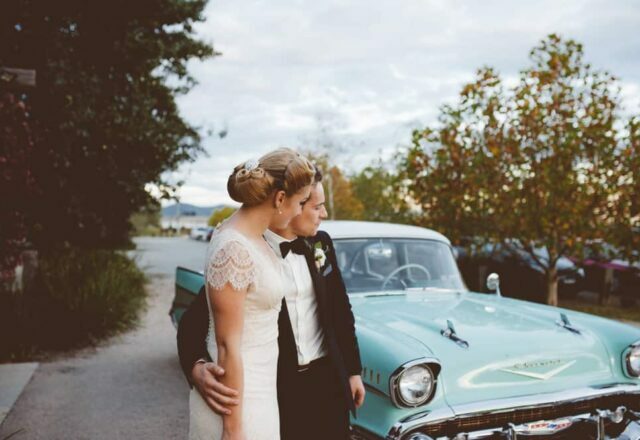 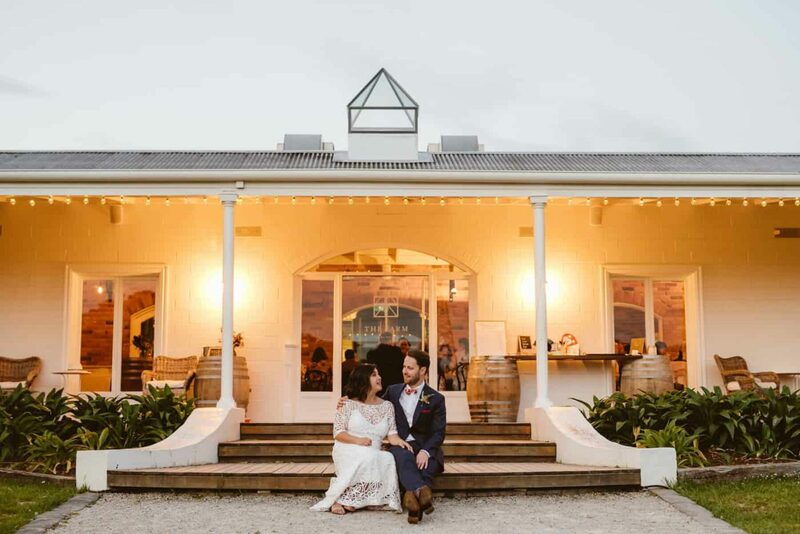 Talk about a cute couple, Jill and Trevor’s intimate wedding at The Farm Yarra Valley has us feeling a little high on love. 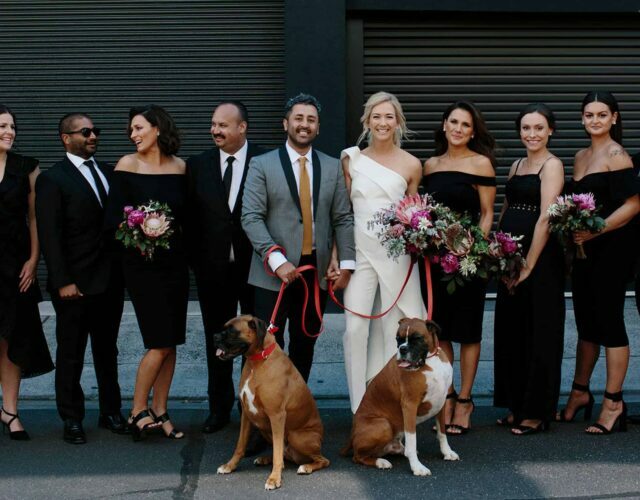 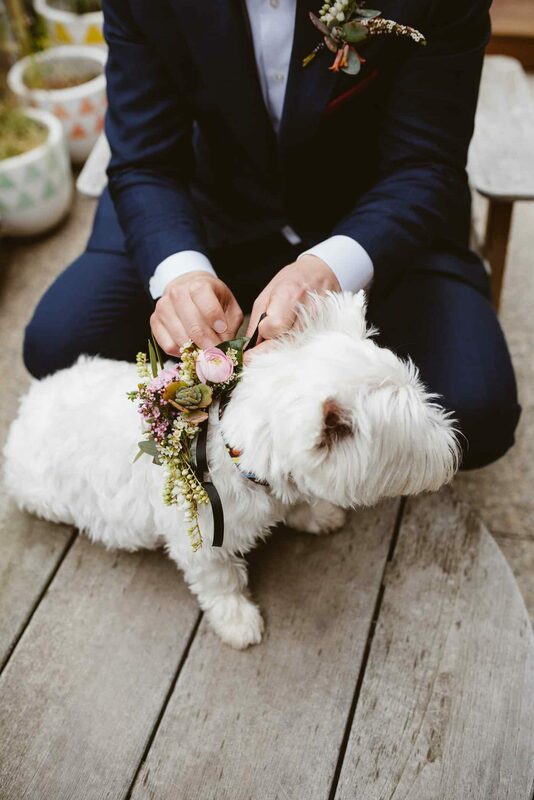 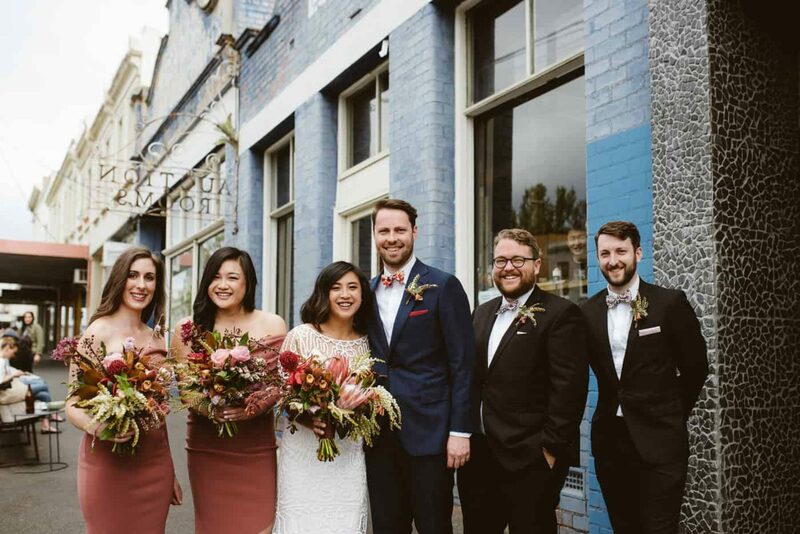 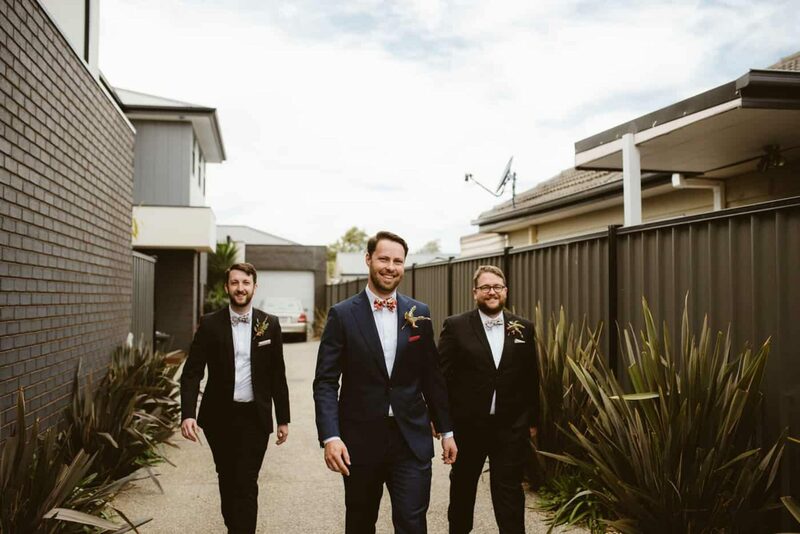 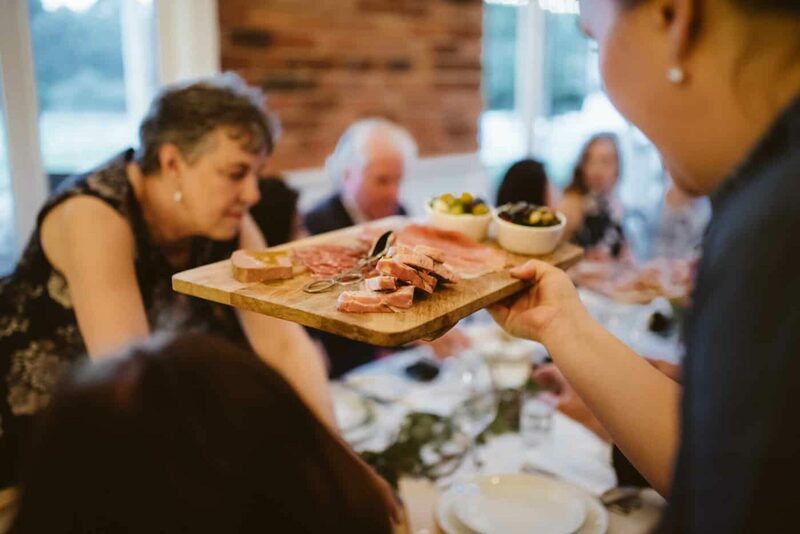 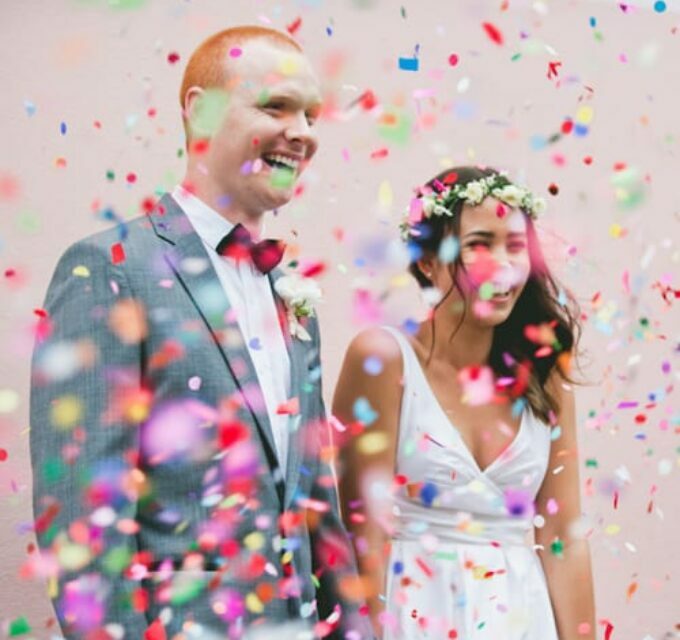 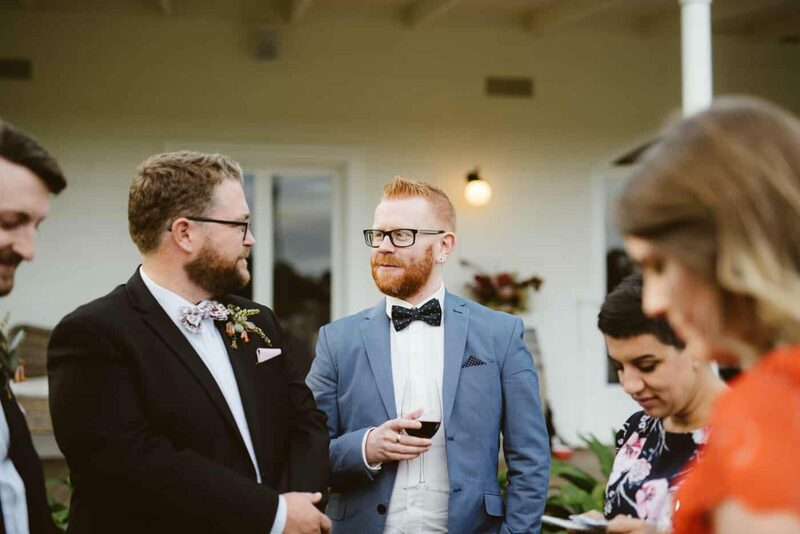 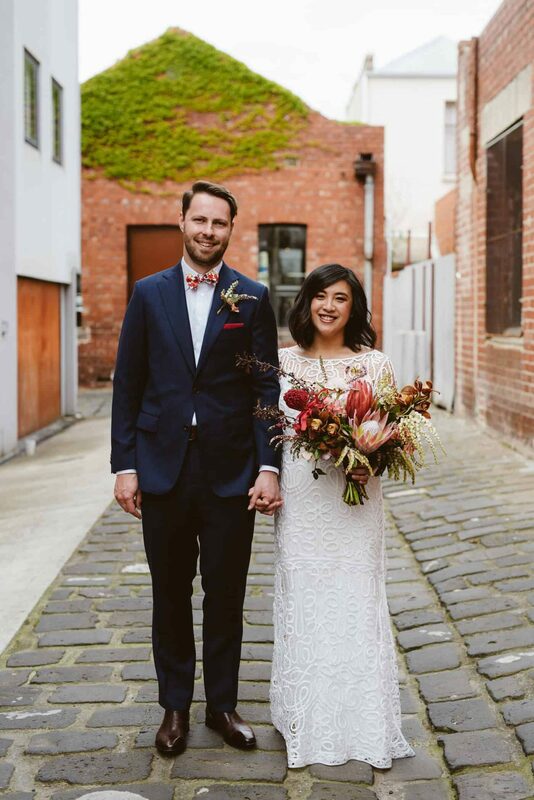 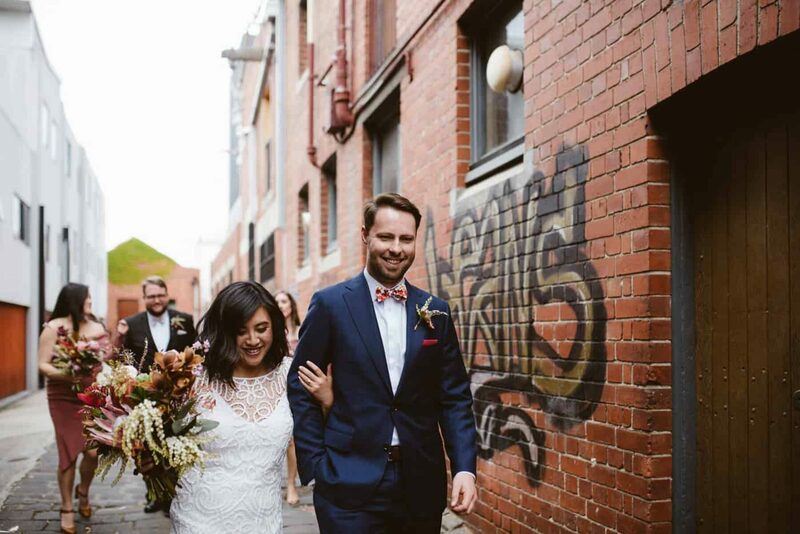 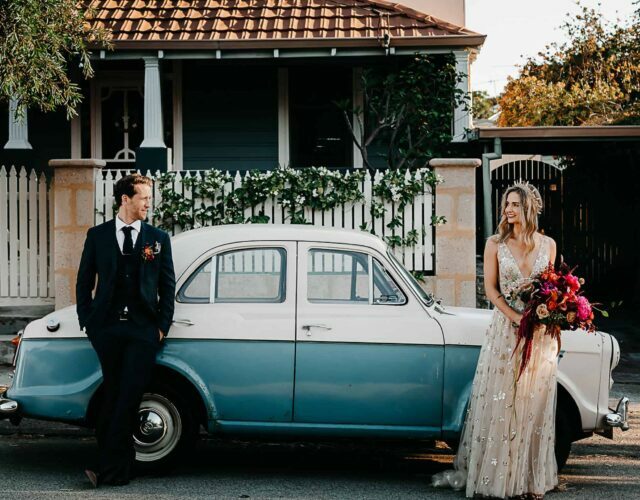 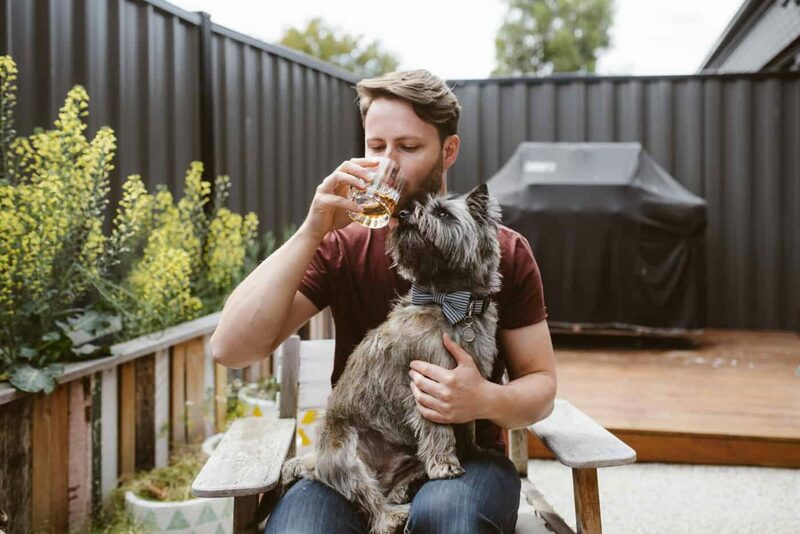 Captured by the oh so talented Alex of Motta Weddings, the simple rustic vibe of the day reflected the couple’s laid back approach to life and love… down to the inclusion of their two little fur babies, Tootsie and Pickles, who acted as honorary best man and bridesmaid. 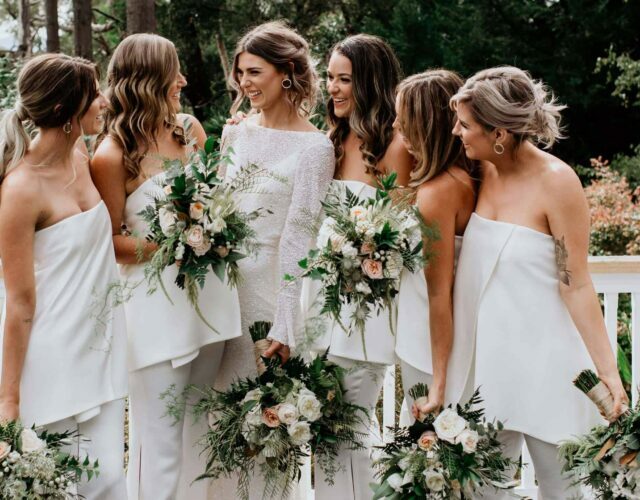 After a ‘first look’ and photos in Melbourne, the bridal party headed to the Yarra Valley for the main event. 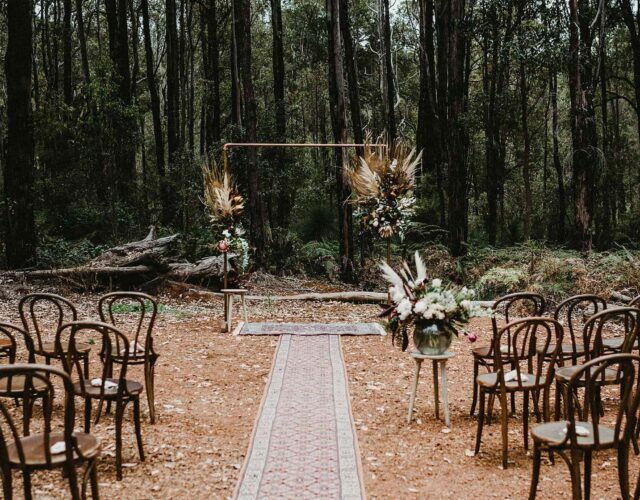 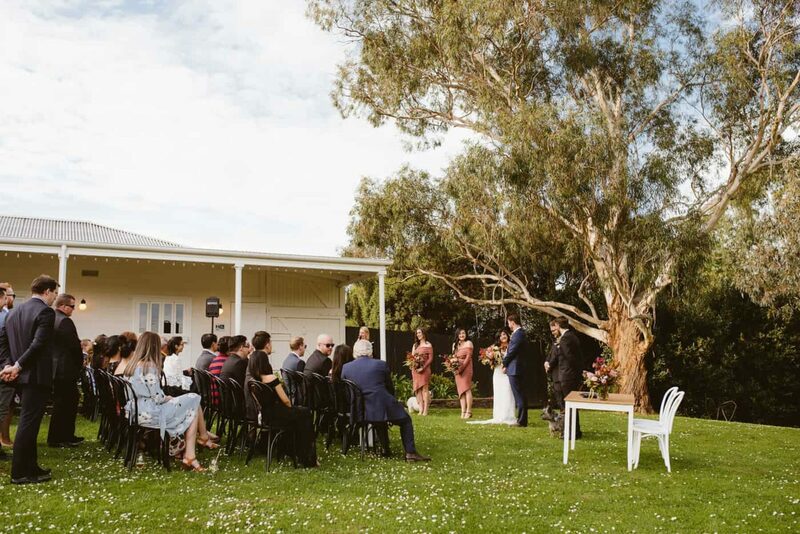 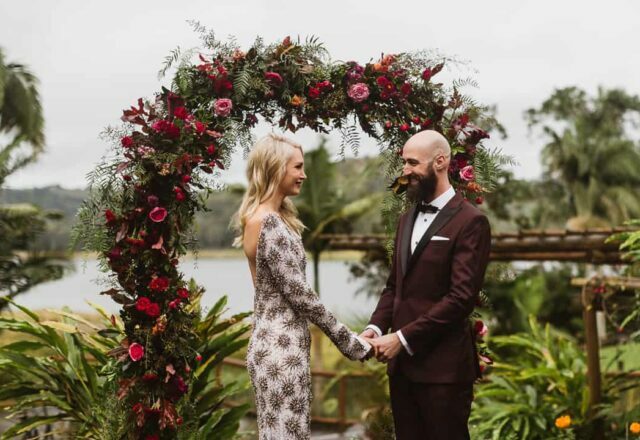 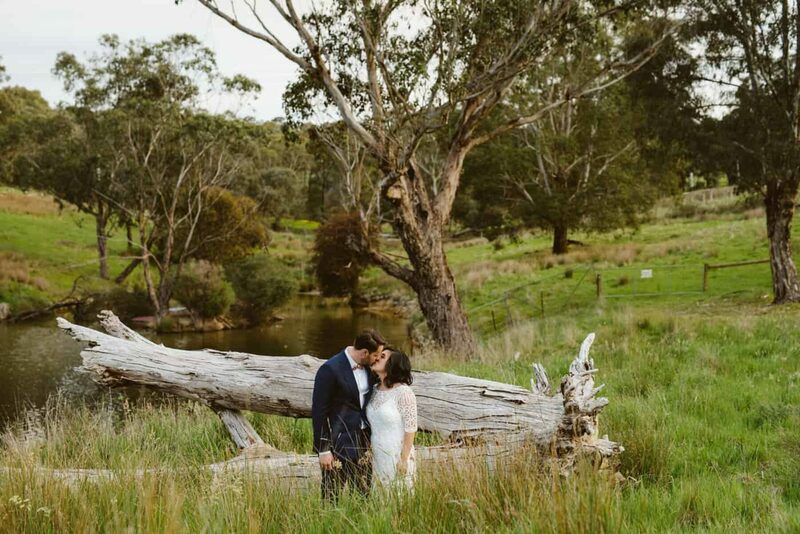 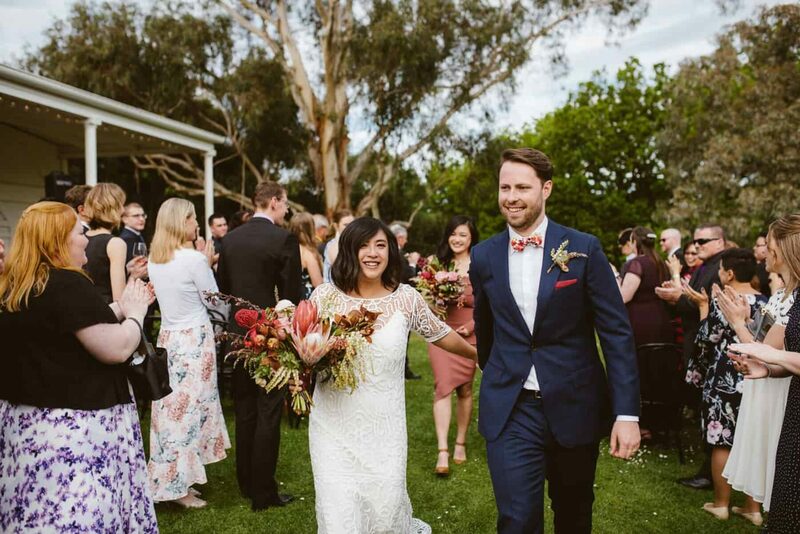 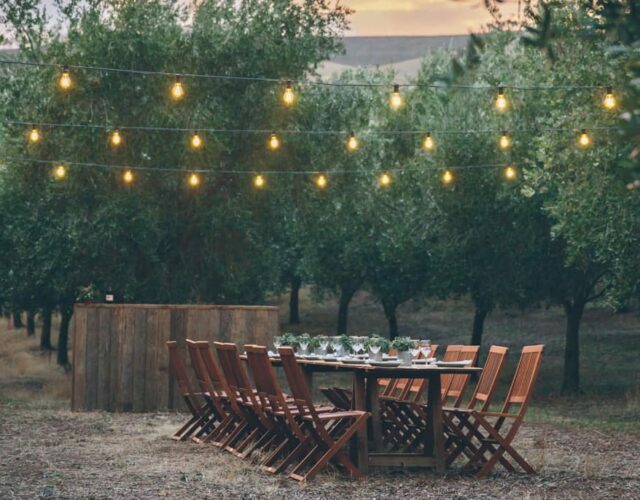 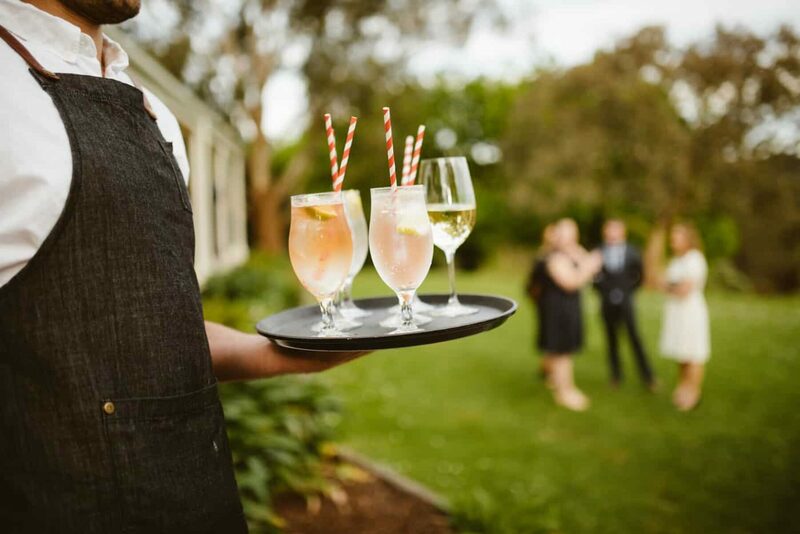 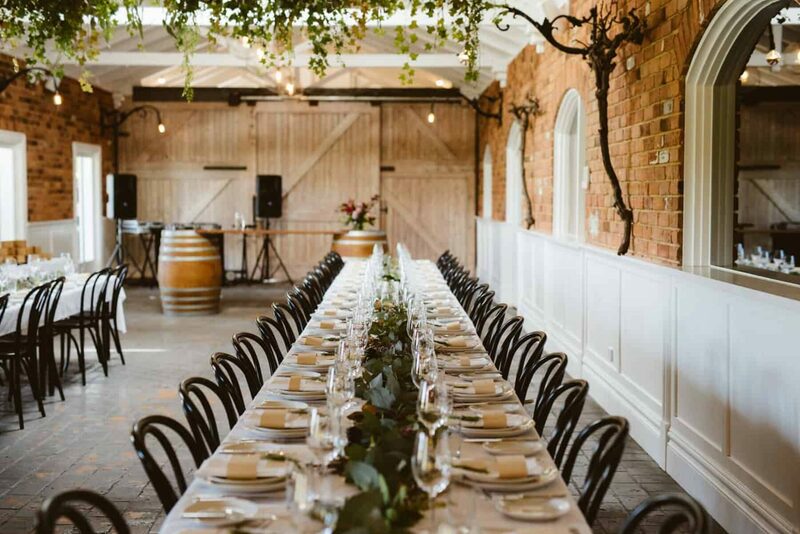 A simple outdoor ceremony was held under The Farm’s towering gums with the property’s vineyards creating a gorgeous backdrop. 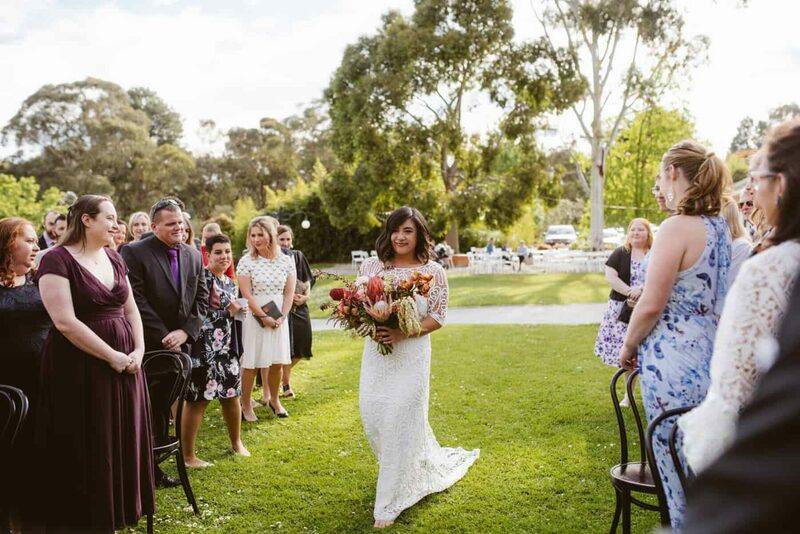 Show stopping bouquets by Pomp & Splendour were all that was needed to complete the scene. 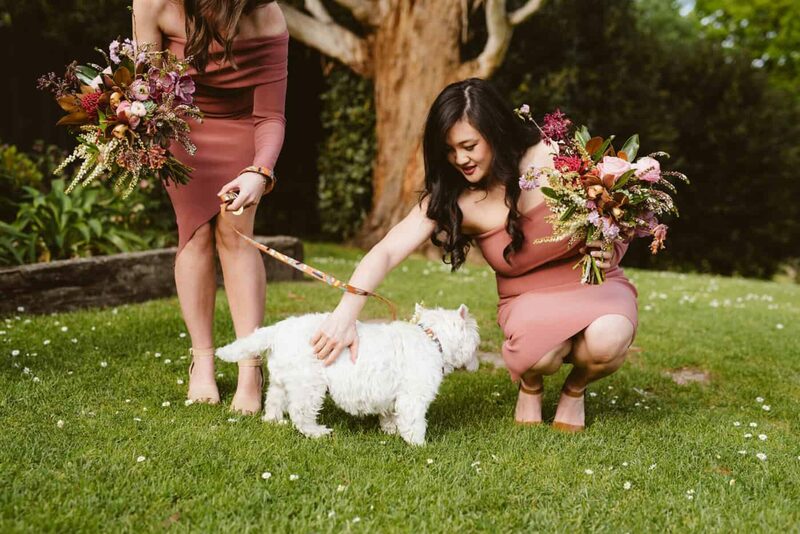 Even the pups got in on the floral action, donning arrangements for the occasion! 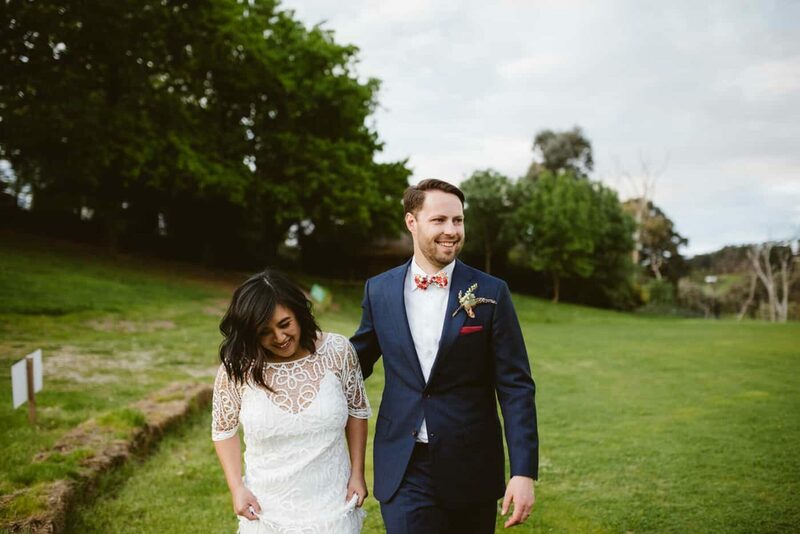 Trevor tells us he had a great experience getting his suit tailored by the Oscar Hunt team. 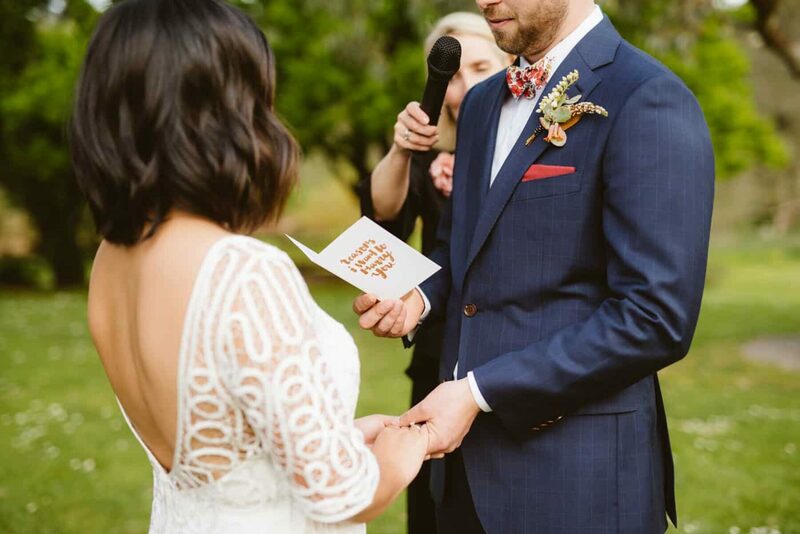 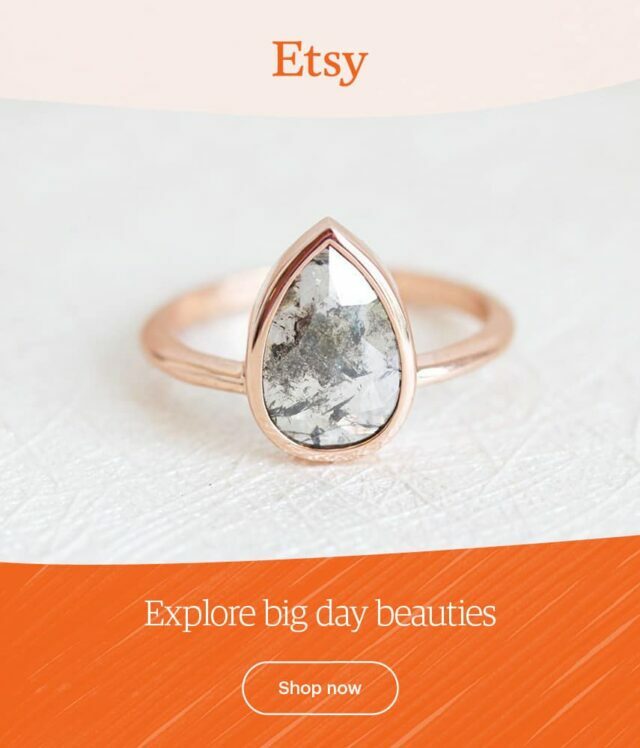 "They were great and guided me through the whole process while pouring me whiskey the entire time!" 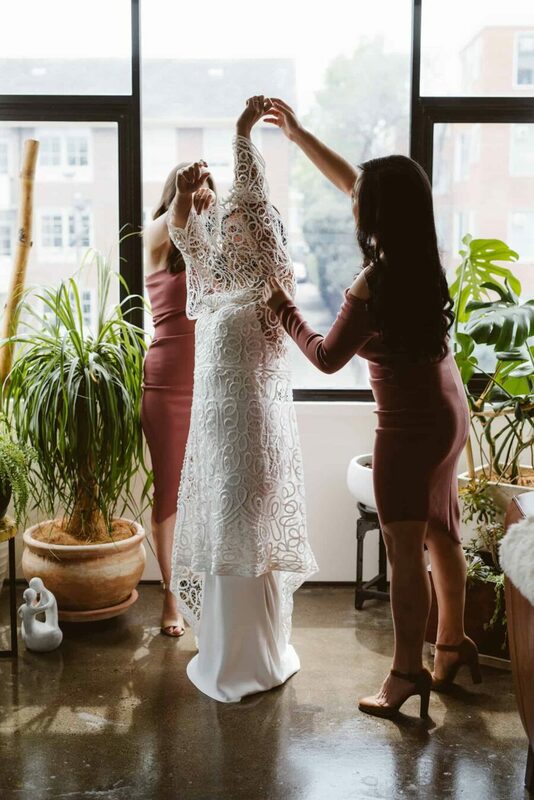 Knowing the style of wedding dress she didn’t want, but having no clue what she did want, Jill went shopping with her mum hoping to find the one. 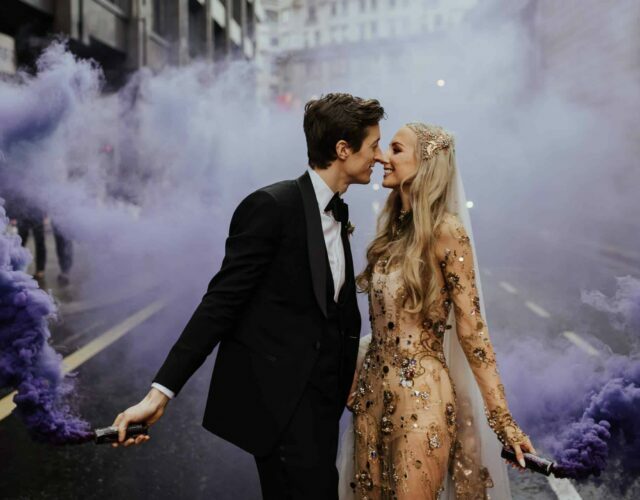 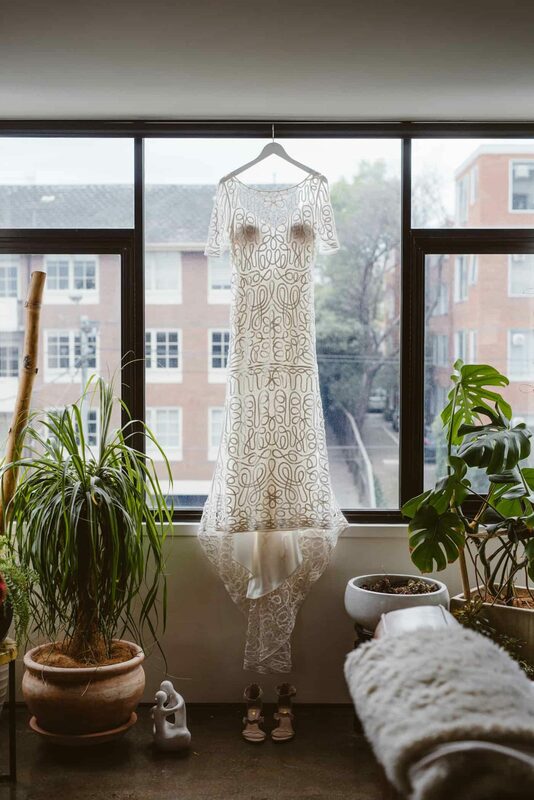 And as soon as she tried her Rue de Seine gown on at The Bridal Atelier, she was sold. 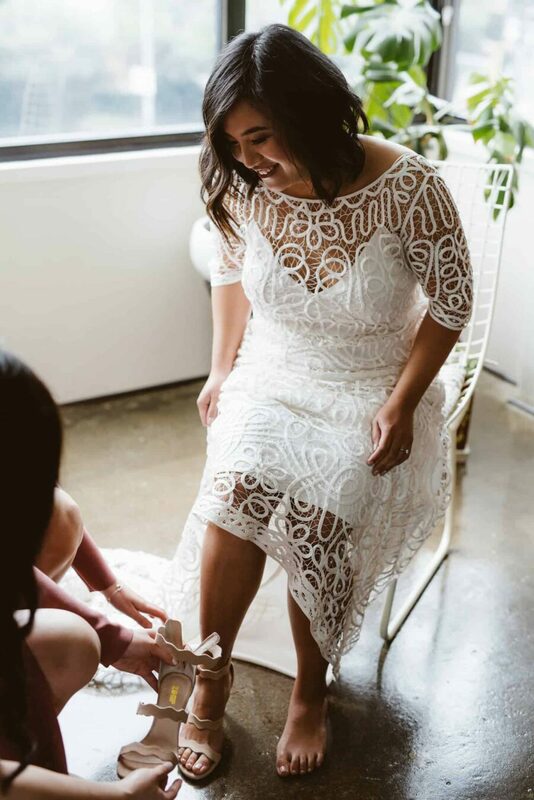 With that elegant, modern lace – we can totally see why. 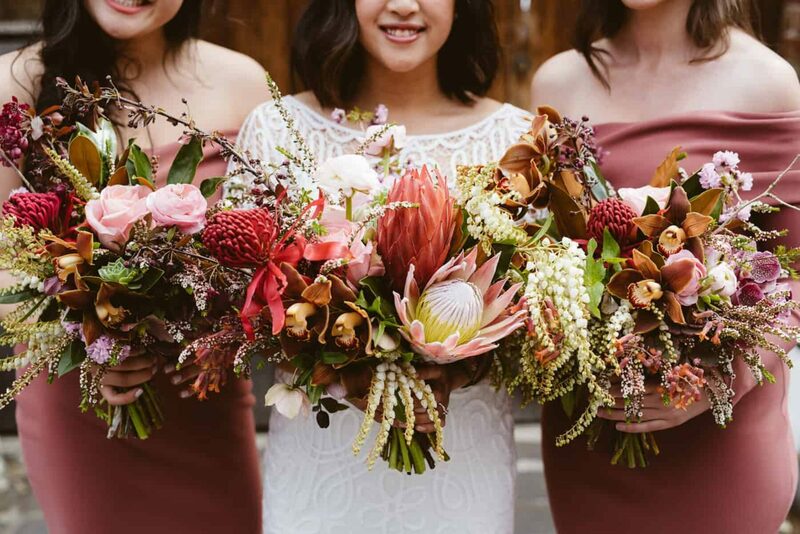 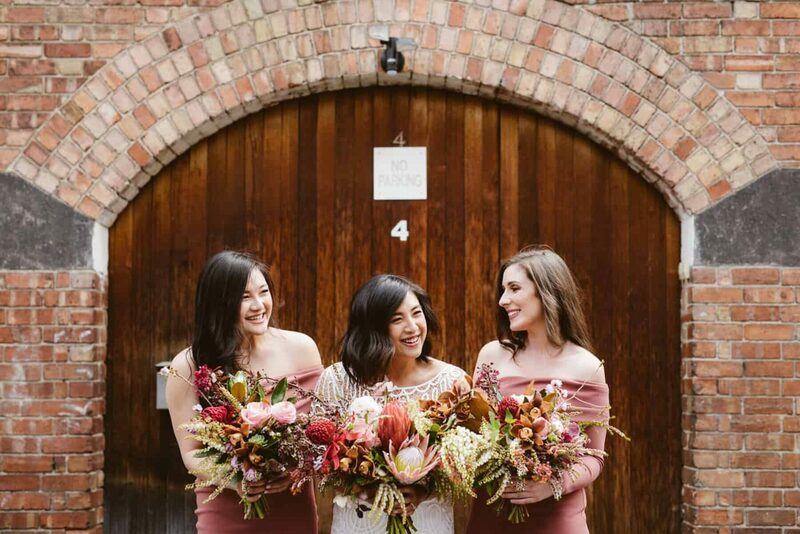 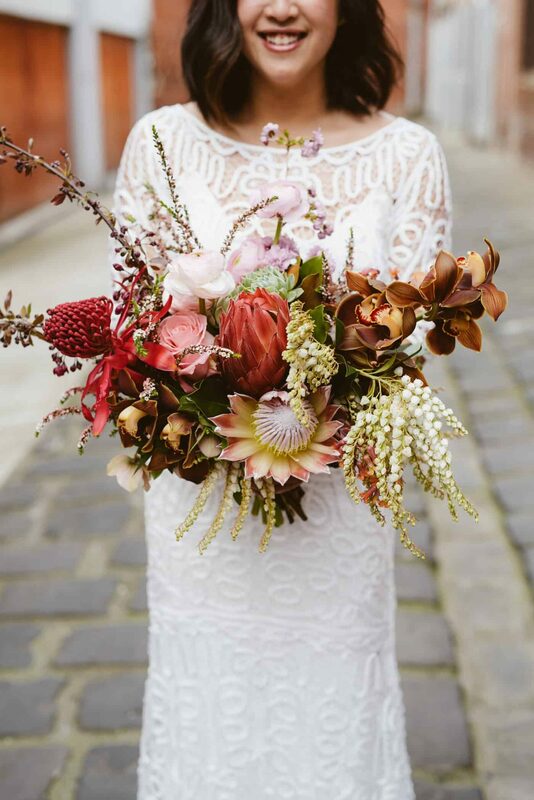 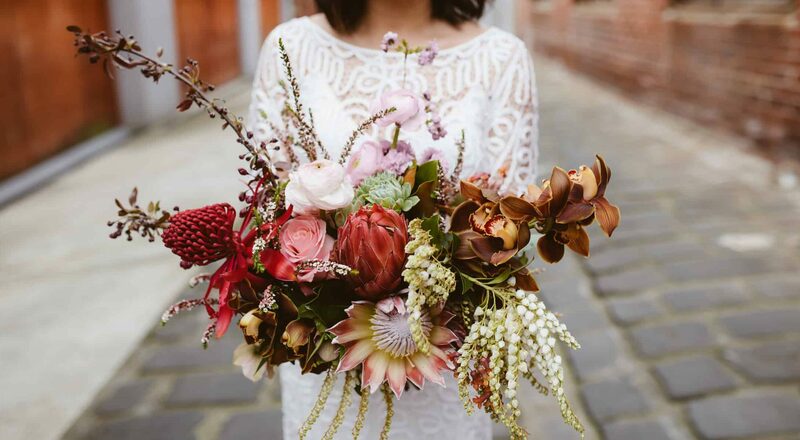 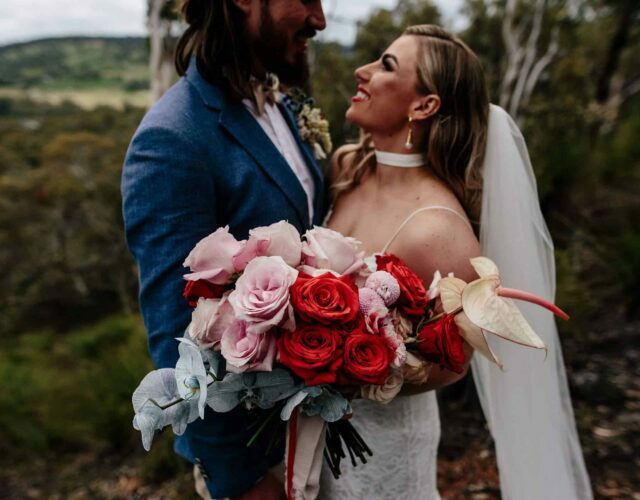 Pomp & Splendour created divine bouquets of mixed natives and country garden classics in a blush and dusty pink palette, perfectly complementing the Jill's bridesmaids' dresses from Bec & Bridge. 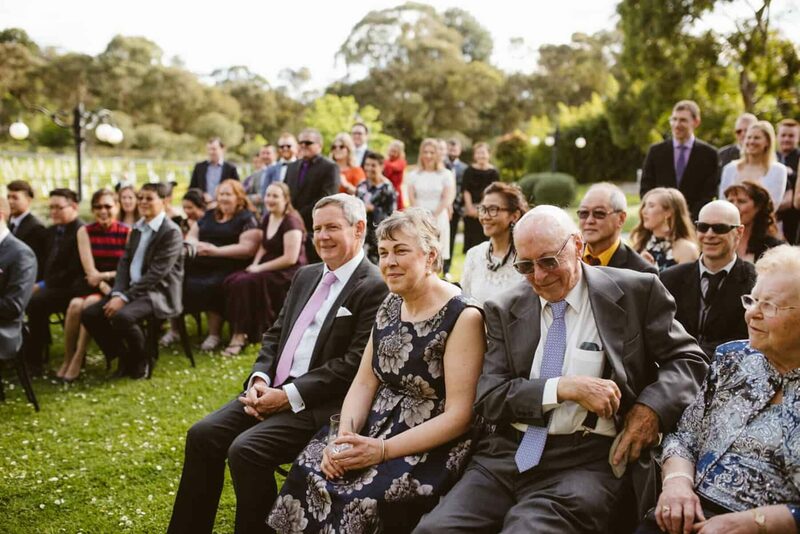 There were happy tears all round thanks to celebrant Georgia Mills who filled the ceremony with heart warming words and wit. 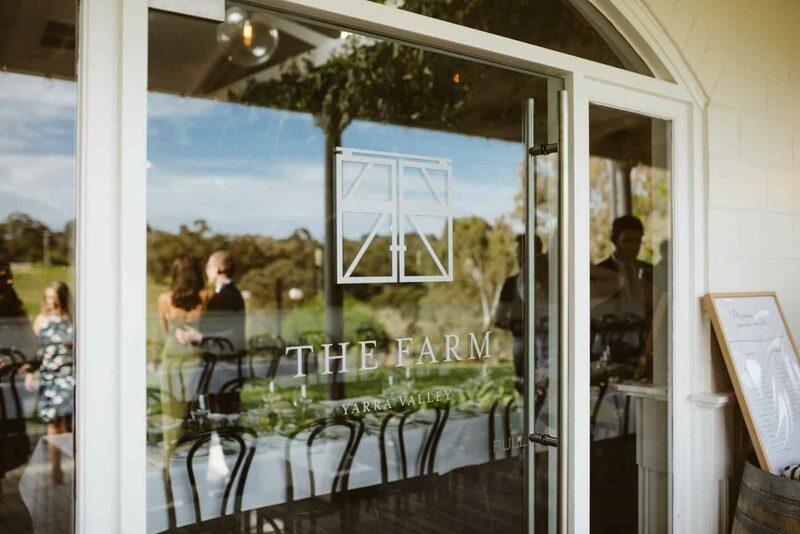 Fitting the brief on every level, Jill and Trevor were sold on the The Farm Yarra Valley from first sight. 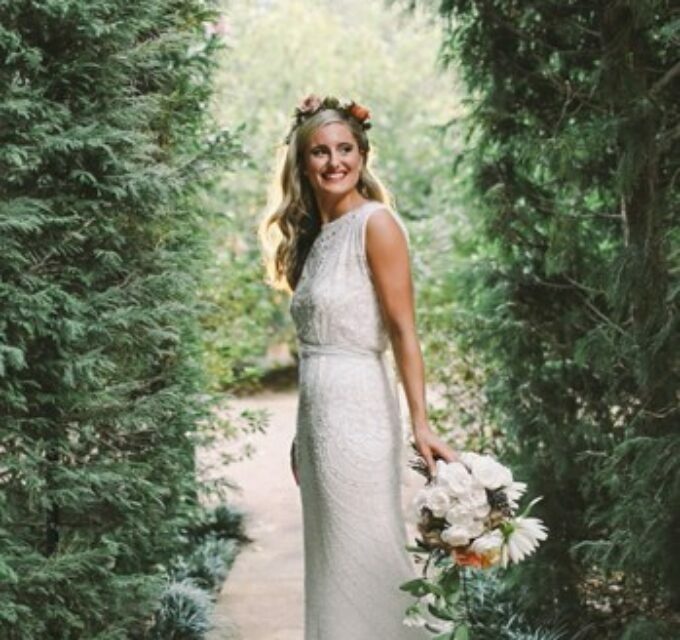 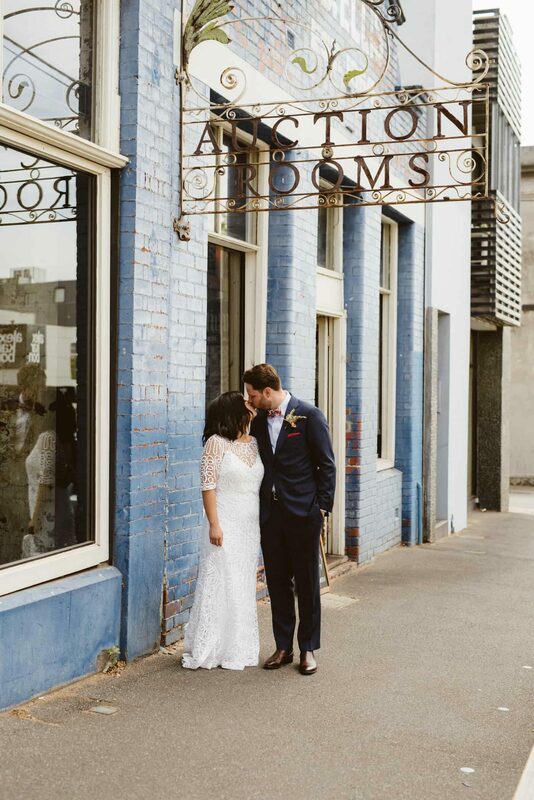 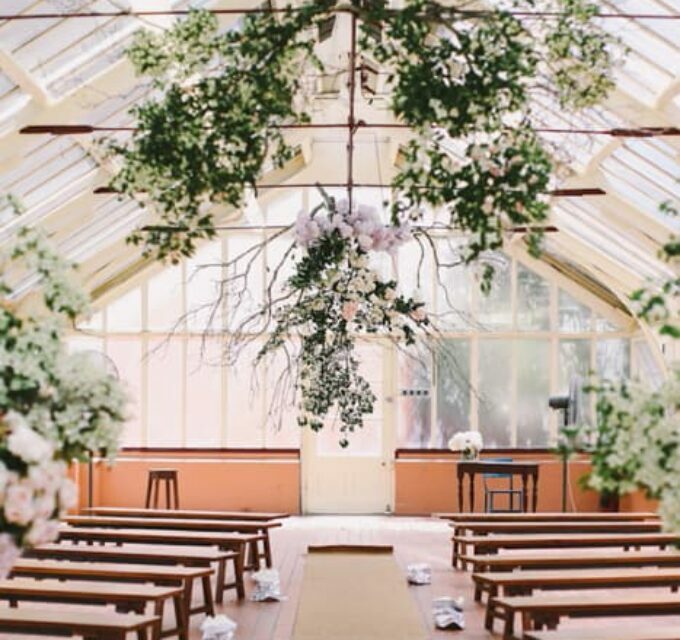 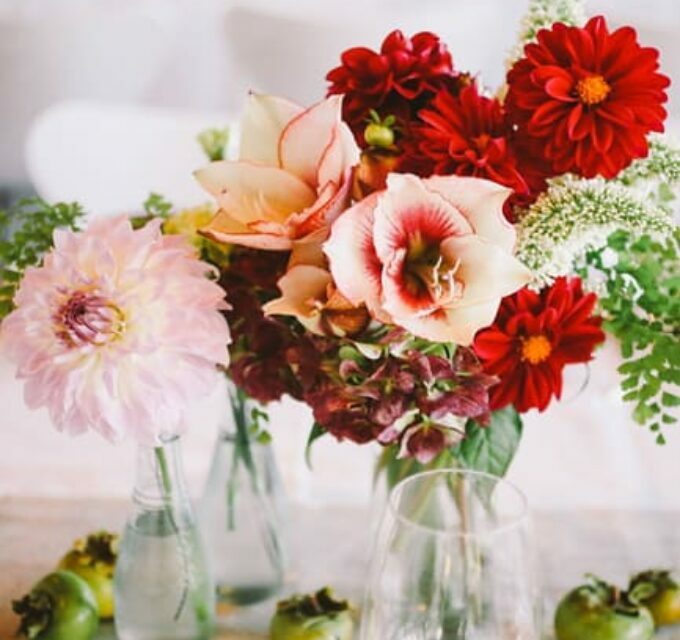 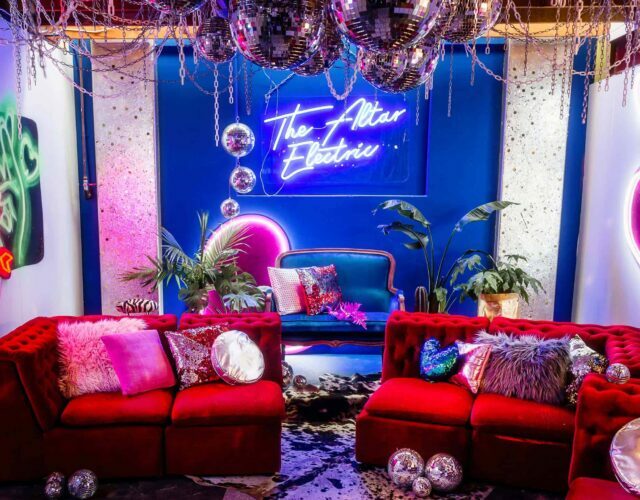 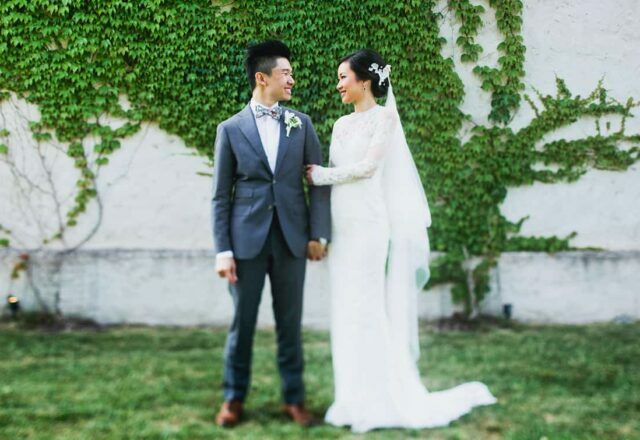 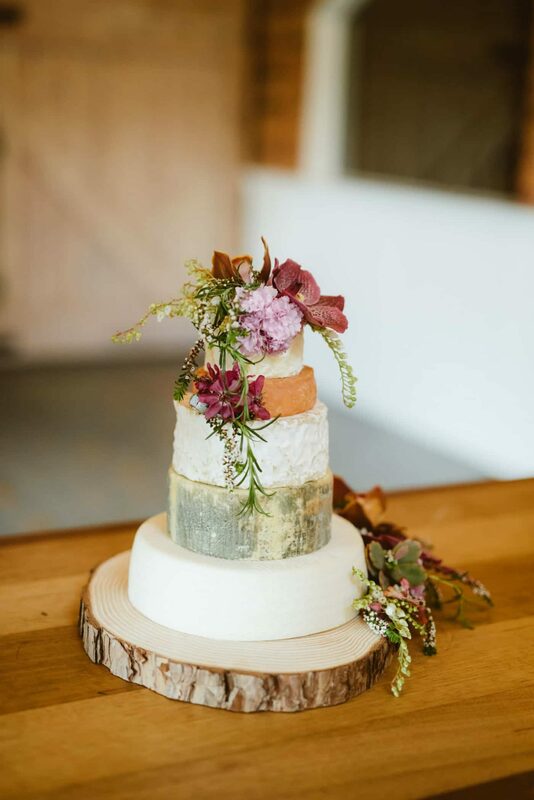 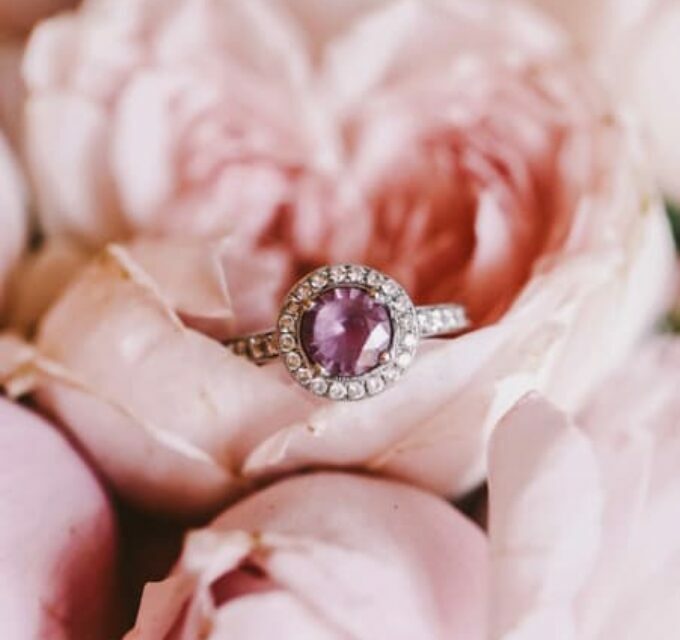 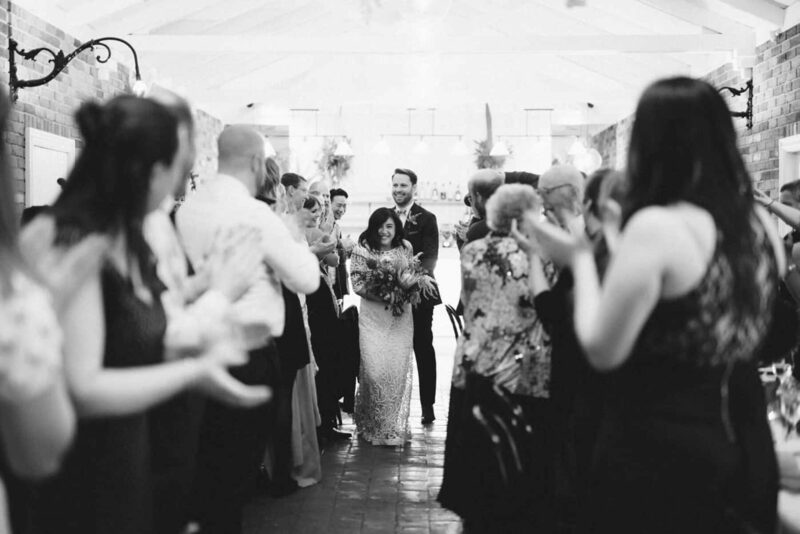 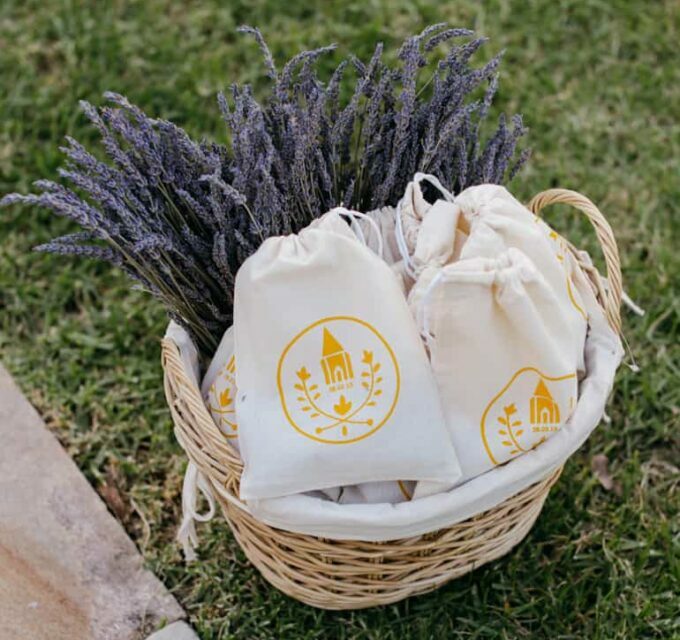 “We absolutely loved the look of the venue both inside and out,” shares Jill. 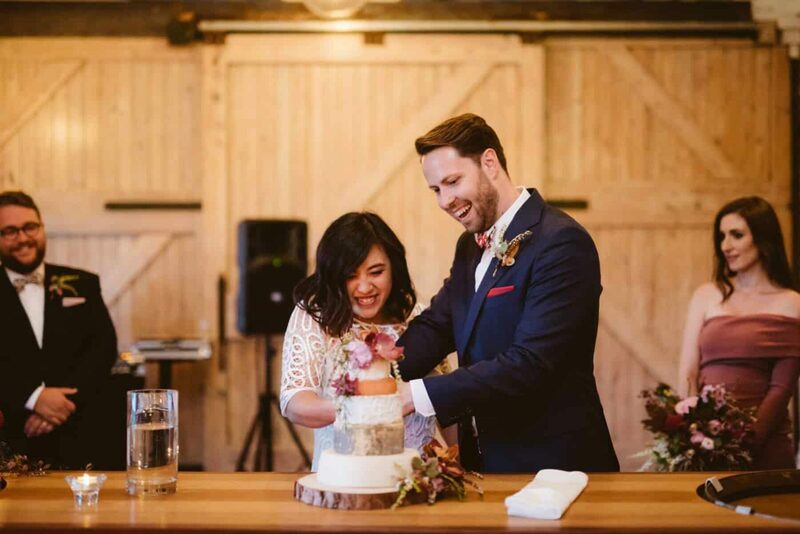 "We also loved that they source their ingredients locally. 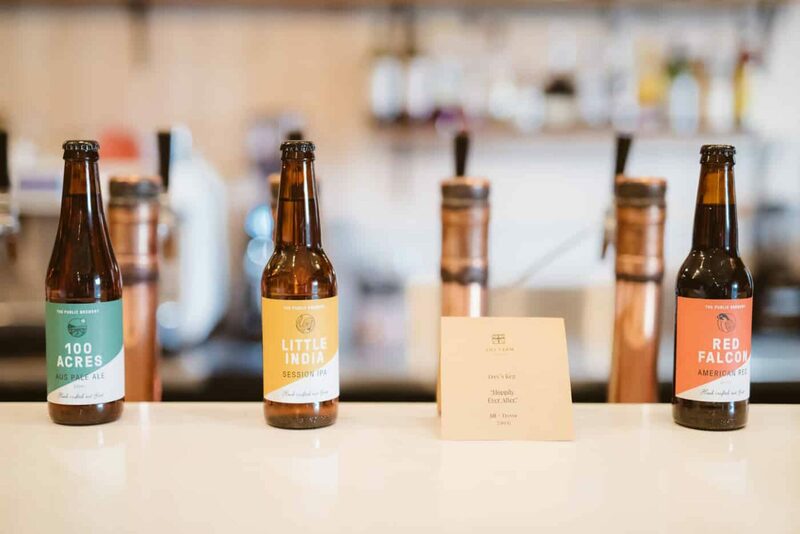 The wine they serve by Rob Dolan has a cellar door at the venue and the beer on tap from The Public Brewery is brewed at onsite.